Are the Kennedy’s cursed or is it the feng shui of their home that is causing these disasters? A feng shui family home acts on an entire family, even when the children have left their nest. This house can act on them for good or bad, it’s all about how to capture the natural environment of Water and Mountain. A Location and Orientation case of building that is measured with a compass, the luopan. It’s all feng shui. 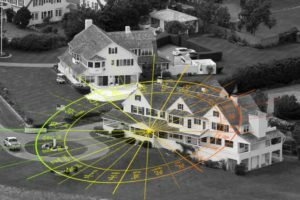 The case of the Kennedy family who decimated their elders, unfortunately illustrates very well this effect of feng shui. LThe “Tomb”, an energy that will suppress luck and customers. JThe “Growth” where he grows up, an energy that will attract fresh money. K The “Bath” where he discovers his body, has its lights of 20 years. J The “Hat – Belt” where one dresses the child to enter the working life, an energy that suits very well to artists, but also to delinquency. J The “Position” where the man takes a social position, an energy that corresponds very well to “officials”. J The “Prosperity” period when man prospers, an energy that brings the sinews of war, money. L The “Death” or man goes from life to death before attacking a new cycle. Let’s look, in a simplified way, at the effect of the surrounding nature on the inhabitants of these houses. For you, having water that goes from one direction to another … that does not mean much, but for the Yang Gong Feng Shui, these inflows and outflows represent the type of energy that will be activated for the occupants of this house. These external energies account for 80% of the effects of feng shui and they can be vinegar or good wine. This family home by its orientation transforms the good wine available to its door in vinegar, letting the energy out of the “Position” that is very bad to let in. It is this energy in general that will be activated in the negative and this “Position” will be cut in this house. Social position, at an age that corresponds to this period of life when we take this position, bad for the siblings of this house, but not for all. According to the Yu Che Jing classic of Yang Gong Feng Shui, let out this type of energy, which represents the man who has reached his majority and takes his place in society. Leaving this type of energy leads to the loss of men in this period of life and we must pay attention to these ancient texts that speak of “officials killed around the world”. The classic Yu Han Jing warns about using this degree of orientation of the building in 庚午, because this energy here will alter the first son of the house, the eldest son. 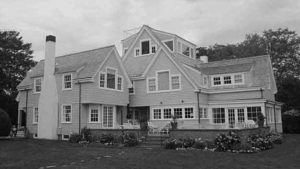 The first son of this house is Joseph Patrick Kennedy Junior, he was born in 1915 and died in the war of a plane crash in 1944. The second son is John Fitzgerald Kennedy, who in turn becomes the first son of the house next to feng shui. John was born in 1917 and died in 1963. Two children who correspond to this age of the “Position”, who are in the position of first son of this house and who were killed in official “mission”. In 1918 Rosemary was born the third child, she had health problems from birth. This third child is touched for Yang Gong Feng Shui by the energy of “Nutrition”, period of infancy. This energy is “drained” ie exhausted, so this period will weaken the child three of this house and hinder a “normal” growth. Kathleen Agnes Kennedy, the fourth child, will have energies equivalent to her older brother and will die at the age of 28, too, from a plane crash. Robert Francis Kennedy was born in 1925. He is the third son of this sibship in turn, takes the place of the 1st son on the death of his brother John Fitzgerald. He also died in 1968. His first son John John will also die in a plane crash in 2009. 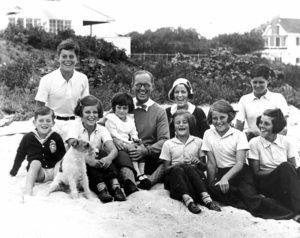 His third child Patrick Bouvier Kennedy, weakened by his bad feng shui, died at birth in 1963. The Yang Gong Feng Shui could have avoided these misfortunes in these houses by giving a different door orientation and thus by capturing these energies differently by offering a beautiful prosperity to all the children of this family. Unfortunately this case is known, many other families live similar dramas in anonymity for lack of knowing the influence of a house on the destiny of a family. ← Les Kennedy, malédiction sur la famille ou mauvais feng shui ?